Below is a quick reference to New Honda Factory Warranty Coverages. 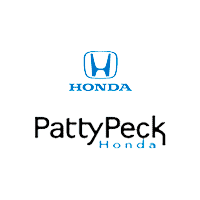 If you would like to review any Honda Warranty manual or Owners Manual please ask your Patty Peck Honda Sales Person when you visit our showroom and they would be happy to assist you with that information. Patty Peck Honda is Mississippi’s #1 Volume Honda Dealership located in Ridgeland, MS and serving the Jackson Metro area and well beyond. This Honda Bumper-to-Bumper warranty guarantee is good for 3 years or 36,000 driven miles on the car, whichever comes first. One of the best things about the Honda standard warranty is that it stays with the car, if you transfer ownership during the factory warranty period, the warranty will still be valid. If you purchase a used Honda that is less than 3 years old and has fewer than 36,000 miles on it, the warranty will still be valid from the original purchase time. Accessory Limited Warranty – Honda accessories are covered up to 3 years or 36,000 miles. Replacement Parts Limited Warranty – Honda Genuine Parts are covered for 1 year. The warranty coverage for replacement parts purchased from and installed by a Honda dealer include parts replacement and labor. The Honda Bumper to Bumper limited warranty begins on the date the vehicle is put into use to the first purchaser by a Honda Dealer like Patty Peck Honda. The new 2013 Honda vehicle including the 12-volt battery is covered for 3 years or 36,000 miles, whichever comes first. Some parts may have separate coverage under other warranties as described in your warranty booklet. Honda will repair or replace any part that is defective in material or workmanship under normal use. All repairs/replacements made under this warranty are free of charge. The replaced or repaired parts are covered only until this New Vehicle Limited Warranty expires. This warranty does not cover normal wear or deterioration of any part. The Honda you have or are considering may not be equipped with all the parts listed below. This warranty’s coverage begins on the same date as the New Honda Vehicle Limited Warranty. The powertrain is covered for 5 years or 60,000 miles, whichever comes first. Other parts may be covered so please refer to the warranty book for more details on your particular Honda model. Cylinder block and head and all internal parts, timing gears and gaskets, timing chain/belt and cover, flywheel, valve covers, oil pan, oil pump, intake and exhaust manifolds, engine mounts, engine/powertrain control module, water pump, fuel pump, seals and gaskets. Case and all internal parts, torque converter, transfer case and all internal parts, transmission/powertain control module, seals and gaskets. Final drive housing and all internal parts, driveshafts, constant velocity joints, front hubs and bearings, seals and gaskets. Differential housing and all internal parts, propeller shafts, universal joints, driveshafts, constant velocity joints, rear hubs and bearings, seals and gaskets. The Lifetime Warranty is good for as long as YOU own the vehicle! Unlimited time, unlimited miles. The Lifetime Warranty will cover Engine, Front wheel drive system, Rear Wheel Drive System and Transmission, Transaxle and more … exactly what the Honda Powertrain Warranty covers.